MCA was appointed by the Sustainability Institute to work on a series of ‘Quick Guides’ for the UN Habitat highlighting how cities and city-regions can employ sustainable patterns for a green economy. These guides aim to inspire city managers to think more broadly about the role of their cities and was launched during the Rio+20 United Nations Conference on Sustainable Development during June 2012. Inherently, cities have agglomeration advantages that allow them to deliver innovation and accommodate population at relatively low per capita costs and environmental impact. Cities are therefore seen as a key component towards the transition to a green economy, and these guides focus on those specific levers: urban ecosystems, urban density, urban infrastructure and urban competitiveness. 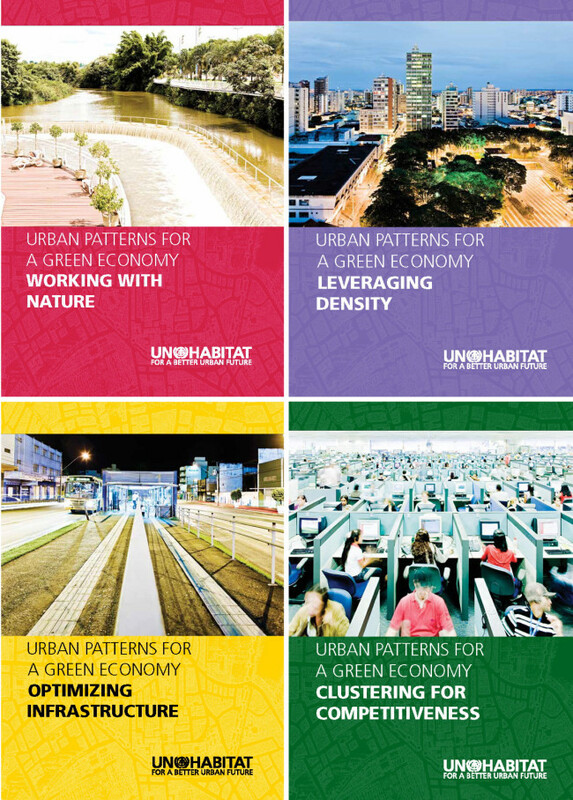 MCA produced the Quick Guides on Urban Patterns for a Green Economy: Working with Nature and Urban Patterns for a Green Economy: Leveraging Density. Please visit www.unhabitat.org/pmss/ to download copies of these guides.